Japan release with picture insert featuring an extensive bio. 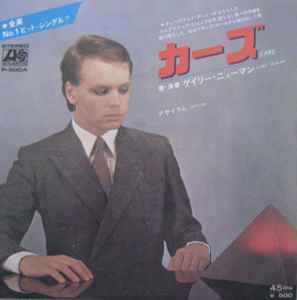 in Japanese, lyrics of the song 'Cars' in English, a B&W inset photo of Gary Numan and discography info. with B&W inset photos on the reverse. Made by Warner-Pioneer Corporation, Japan, under license from Atlantic Recording Corp. U.S.A.